This is March 1976, nearly a decade into Mitchell’s singular career as a musician-composer, and she is at a crossroads: the landmark successes of Blue and Court and Spark are receding in the rear-view mirror, with the sumptuous, increasingly jazzy, increasingly un-commercial detours of Hejira and Don Juan's Reckless Daughter still ahead on the horizon. A car, a former lover, a lover-to-be, an entire country to traverse: Yaffe has set up what will surely prove an interesting extra-musical adventure – but we never clarify the identity of the supporting characters on this journey, nor what became of them, nor do we know if the journey was completed. I would call this a tease if it didn’t read more like simple neglect. Over and over in Reckless Daughter we find facts and quotes repeated, sometimes verbatim, as though it’s assumed we’re not actually paying attention; while stories that might have the capacity to reveal and evoke in the way only stories can, are puzzlingly elided. A quarter of the way into the biography, Yaffe has twice referred to Mitchell’s “old friend Neil Young” without having ever mentioned how Mitchell and Young, arguably Canada’s greatest living musical icons and remarkable characters both, met and became friends. Yaffe is a seasoned journalist and academic whose previous books are Fascinating Rhythm: Reading Jazz in American Writing and Bob Dylan: Like a Complete Unknown. Here he has laboured to provide us with a thorough chronology of Mitchell’s life and work, yet so often he fails to explore the knottier aspects of both. Though the subtitle of Yaffe’s latest is “A Portrait of Joni Mitchell”; I can assure you this is just a biography. A frequently frustrating one. Perhaps the core problem with Reckless Daughter can be found in the same section where Yaffe’s prose is most captivating. The book’s preface, entitled “Nothing Lasts For Long,” is a masterstroke of appetite-whetting. Yaffe writes elegantly of his personal relationship to Mitchell’s music and of his first encounter with Mitchell herself, in 2007, at an Italian restaurant willing to turn a blind eye to their famous client’s infamous cigarette addiction. The encounter, providing material for a profile in The New York Times, would last a full 12 hours, and their conversation would involve topics such as Mitchell’s feelings about Bob Dylan and Leonard Cohen’s legacies and the time that Miles Davis passed out while clutching Mitchell’s ankles. Wow! Endearingly, Yaffe was so nervous to meet Mitchell that he broke a glass in his hand while waiting for her to arrive. He must have been elated to have parted with Mitchell feeling as though he had made a friend – who wouldn’t? But when Mitchell expressed her unhappiness with the Times piece, Yaffe must have felt angst – and has been, perhaps, loathe to repeat the mistake. Mitchell is by all accounts mercurial, a characteristic that feels parcelled with her particular genius, and, in keeping with Yaffe’s choice of title, could be at times reckless, which makes for great narrative. Yaffe, by contrast, seems careful. Too careful to burrow deeply into, for example, the accusations of violence one of Mitchell’s housekeepers made against her. Mitchell, herself a victim of physical abuse at the hands of her collaborator and one-time boyfriend Don Alias, conceded that she had kicked the housekeeper in the shins. I highlight this episode not because I’m hungry for dirt on Mitchell, but rather because it is the business of biographers to grapple with the spectrum of a subject’s life. Yaffe doesn’t shy away from noting the anger and vitriol of which Mitchell is capable – her hostile remarks toward, say, Judy Collins or Thomas Dolby, are already public record – but his willingness to peer into the darker aspects of her life largely stop there. If you love Mitchell’s work, such deficiencies will hardly keep you from reading Reckless Daughter. I couldn’t put it down. There are things here to be grateful for: Yaffe writes about Mitchell’s decades-spanning friendship with Cohen in a way that’s both informative and very moving, and about her slightly shorter friendship with Prince, for whom she was a formative influence. Yaffe also gets jazz – an essential attribute for anyone seeking to say anything meaningful about Mitchell – and is highly articulate about the contributions of Wayne Shorter, Jaco Pastorius, Herbie Hancock and Brian Blade to Mitchell’s music. 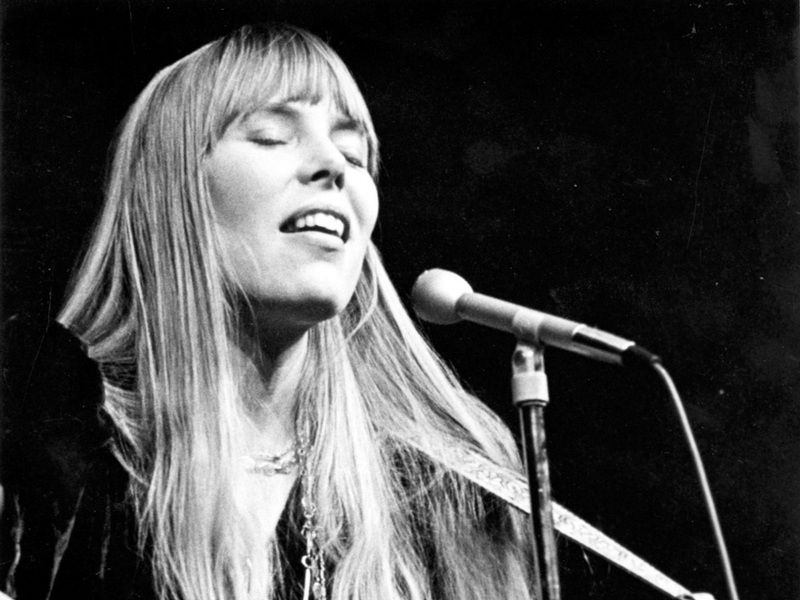 Mitchell’s achievements soar far beyond “Both Sides, Now,” “Big Yellow Taxi,” “A Case of You” or “Help Me.” Her innovations and phrasings, the maturity and adaptability of her voice, and the dynamism of her body of work remain too-little understood and appreciated. If Reckless Daughter brings readers closer to Joni, then Yaffe has provided a great service. I just wish the bulk of this biography matched the allure of its opening flight of memoir. This article has been viewed 1,490 times since being added on October 13, 2017.